With an issue like health, deeply personal, but of great public concern, the faith community has a unique and important role to play -- to define and raise the moral issues beneath the policy debate. One major moral issue that has surfaced is how we treat the immigrant in our society as we discuss and debate health-care reform. Lawmakers have gone above and beyond to ensure that no undocumented immigrant would be covered under the proposed health-care plan, and the White House insists that people unlawfully present in the U.S. will be barred from using the proposed "exchange." When the now-infamous representative from South Carolina shouted "You lie!" at President Obama, political fact-checkers and the media struck back with force. They have been clear to say that President Obama wasn"t lying or misrepresenting the facts about undocumented immigrants in health care reform. These adamant denials from the fact-checkers and the White House, that the proposed bill will definitely not cover the undocumented, might help its political feasibility, but they don't say much for its moral priorities. In the faith community, we have a different ethic than political feasibility. For many years, our practice and policy has been that health care for all should mean health care for all. Yes, we believe that reform should also include immigrants, and that all within our shores at least have access to a basic safety net of services. We believe that would be a sign of strength in health-care reform, not weakness, if it included the immigrants among us. Jewish and Christian scriptures alike are more than clear about the moral mandate to take care of "the alien" and "the stranger" in your midst, to treat them as if they were your own. Why? Because at some time we all have been strangers or aliens in a new place. When politicians brag about the fact that immigrants are not included in health care reform, it is a sign that political calculation has won out over moral consideration. We are well aware that immigration is a tricky issue and an emotionally volatile topic, and best dealt with directly. Attempts to employ the volatile politics of the immigration issue to derail meaningful progress on health care reform are unacceptable. But when outbursts from members of Congress incite a national media frenzy about what kinds of people should not benefit from meaningful health-care reform, we have a moral obligation to speak out. It is our strongly-held view that the provision of health care is a shared responsibility grounded in the sacred act of creation and our common humanity. Universal teachings within the scriptural texts of our diverse faith communities call us to welcome strangers and compassionately care for their basic human needs -- including health care. This means, first, that legal immigrants should be eligible for subsidies that assist them in purchasing health insurance. Second, we should eliminate the five-year bar on legal immigrants being eligible for Medicaid. Third, our concern for life and children must mean the inclusion of pregnant women and children in any health-care plan, regardless of their legal status. The president has said that our response to health care in this nation is about the character of our country. We believe that is true. Our response to the issue of immigration is also about our character as a country. Do we want to be the sort of country who prides itself in its ability to prove that no immigrant, with or without documentation, is able to secure health coverage on a public exchange or receive financial assistance to obtain coverage when times are tough? After we accomplish that, will we move on to ensure that immigrant children are denied health care at clinics? Hospitals? Emergency rooms? By marginalizing immigrants in health-care reform legislation, we create a shadow health care system to accompany the shadow society in which many immigrants are already forced to live and operate. As Christians we are instructed to be generous, caring, and welcoming. Why would we support public policy designed to prohibit a needy person from accessing life-giving health care because of his or her immigrant status? And for us, health care reform challenges our commitments as Christians. Let's focus on good public policies, not fear-driven or divisive political games, which reflect our best moral values and the better nature of our country by including all immigrants in heath-care reform. 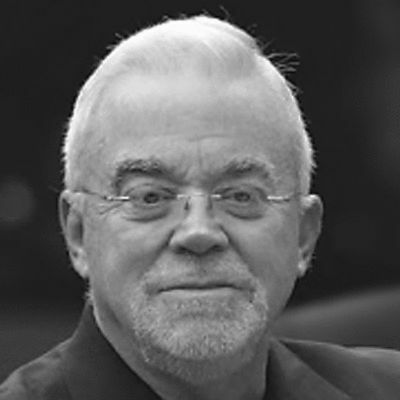 Jim Wallis is Editor-in-Chief of Sojourners and the author of The Great Awakening. Allison Johnson, campaign coordinator of Christians for Comprehensive Immigration Reform, also contributed to this article. To learn more about immigration reform, visit www.faithandimmigration.org.